A luxurious image united with high quality Italy craftsmanship: Daniela Funari luxury women’s shoes stand for details that make the difference. Simple and elegant lines and attractive contemporary design characterize Daniela Funari luxury shoes: her collections have been presented at fashion weeks in Milan, London, Paris and New York. A fashion brand which believes in values such as exclusivity, for made to measure products and limited edition collections perfect for the sophisticated lady. 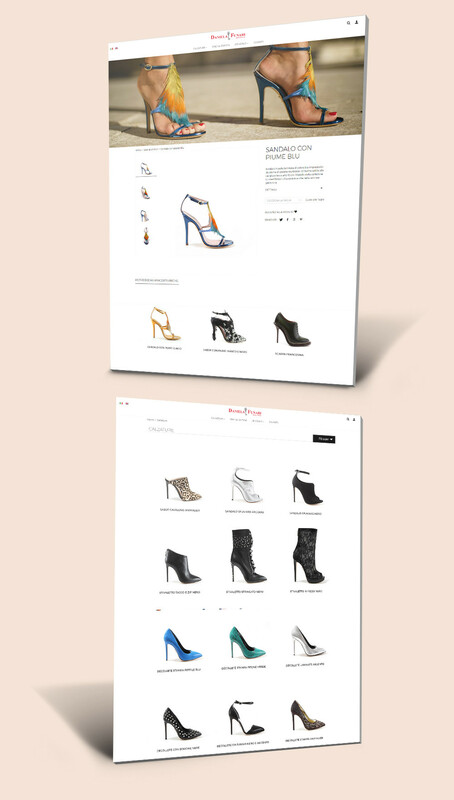 For the brand we designed a website that reflects in graphics the smart and sophisticated image of the collections: the minimalist design on a white background aims to emphasize the shoes. The shop provides the catalogue section where you can consult a wide selection of shoes: sandals, décolleté, boots, sneakers, flats and sabot, a shoe for every occasion. Within the product fiches shoes are meticuluously described through pictures and in particular thanks to the zoom function, which shows all the features in every detail. Browsing in the catalogue it almost feels like touching the shoes. The section “DF World” tells the brand values and heritage such as high quality Italy craftsmanship and the story of the designer: Daniela Funari founded Tecnomodel, company specialized in shoe production and over the years she collaborated with top international brands such as Chanel, Dior, Moschino, Sergio Rossi, Alberta Ferretti, Pinko, just to mention a few. Another section is dedicated to the Limited Edition: few exclusive pieces of luxury shoes, available on request, that stand for a unique design and the quality of raw materials. Finally we find the section “Made-to-Measure”, a service that Daniela Funari provides to her most loyal customers. The wide selection of leather goods allows to choose among colours and precious textures, the use of selected raw materials and refinement of decorations allow to customize your clothes with original and unique shoes.